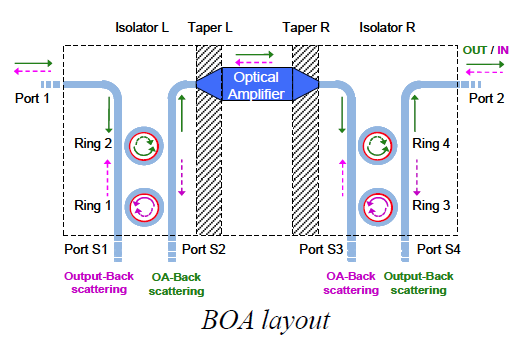 By exploiting non-reciprocal magneto-optic micro-ring resonators, a single hybrid III-V semiconductor optical amplifier can be effectively integrated to provide crosstalk-free bidirectional interleaved WDM communication for intracard active optical interconnects. This technology is currently available for licensing. Patent pending.